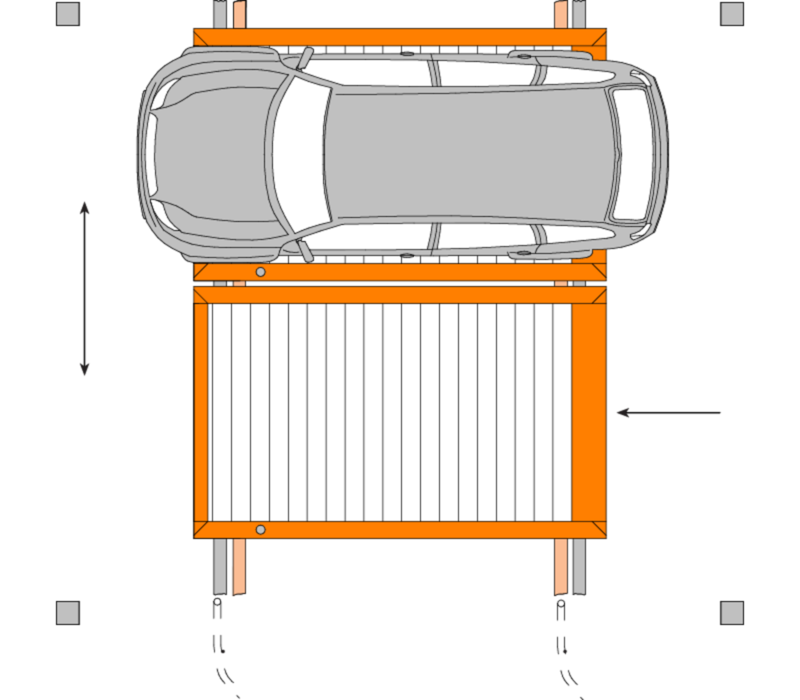 The KLAUS Multiparking pallet systems offer optimal area utilisation and can also be retrofitted in existing garages or car parks. 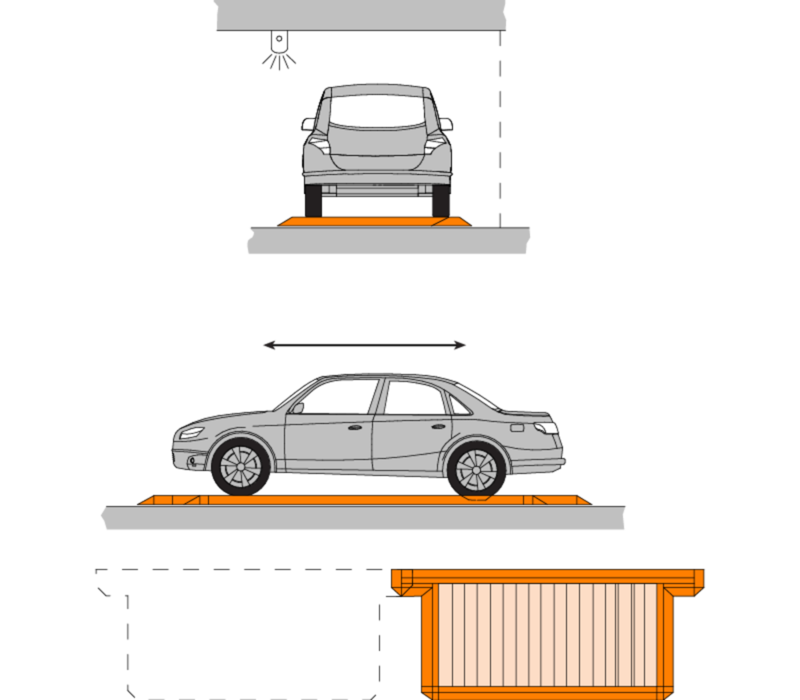 By means of an electric motor, the park pallets moving on rails are transversely shifted at the push of a button, thus releasing the desired parking space. On unused surfaces and in driving lanes additional parking spaces can be created. ParkBoard PQ is available for each vehicle. 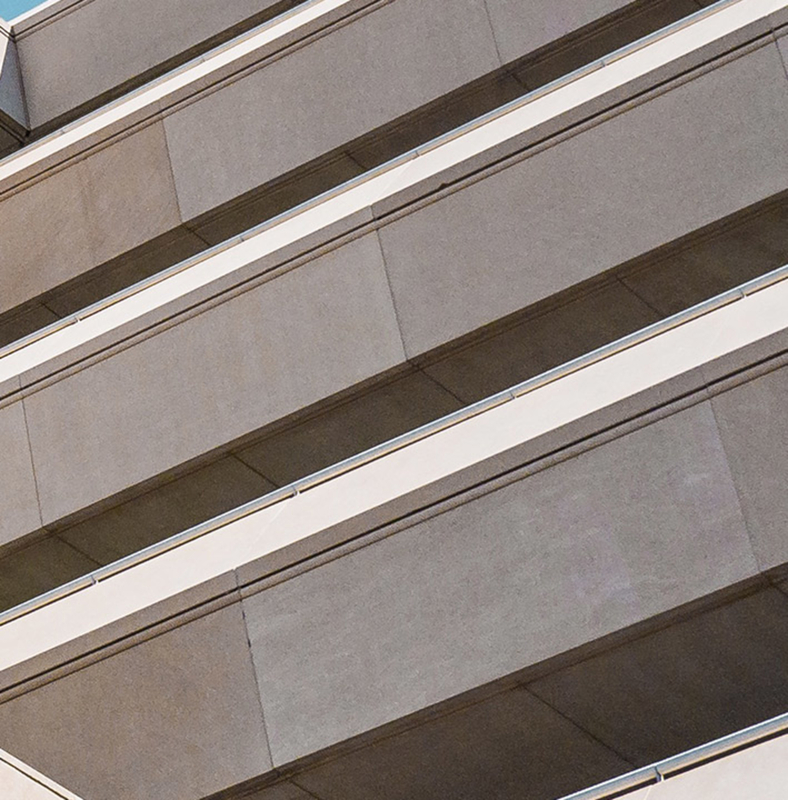 ParkBoard PQ is best suited to residential and commercial buildings, single and multi-family houses, office buildings, underground garages, car parks, hotels, car shops, long and short-term parking and retrofitting into existing buildings. The pallet systems offer optimum area utilization and can also be retrofitted in existing garages.